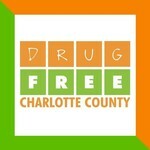 Help Ian go Over The Edge for Drug Free Charlotte County! Ian Wichmann hasn't added a story. We work every day to prevent and reduce substance abuse in our community through proven strategies and strong partnerships. This event will help work with substance exposed children and our evidence based programs for school aged children and teens. Ian Wichmann hasn't posted any updates yet.